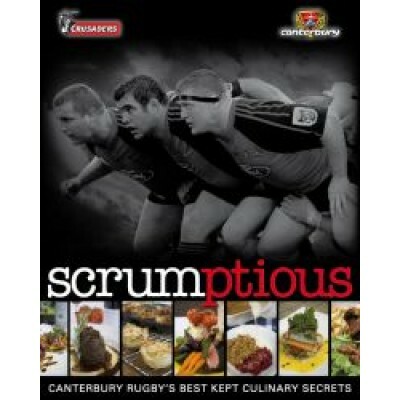 Willson Scott Publishing and the Canterbury Rugby Union have joined forces to give away the food secrets from your favourite rugby player. From their kitchen to your table, Scrumptious might just let you in on some of the boys in red and black’s tips on eating to win! Each of the players, as well as managers and coaches, chose a favourite food recipe – whether it was something cooked by their mum, girlfriend or wife; themselves; or even a dish sampled in a café whilst on tour. The scrummy dishes range from Reuben Thorne’s mussel and bacon pasta right to Campbell Johnstone’s “Vegetarian” Platter. Alongside action playing photos and head shots of each player, the recipe shows you how to cook the food to players’ perfection. 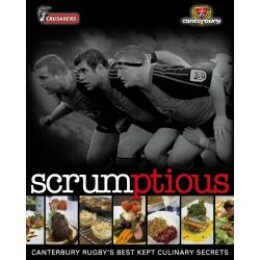 Whether you are a rugby fan, a cooking enthusiast or curious about your favourite players, Scrumptious has something for everyone.